Nearly 700 000 people throughout Pakistan will be issued with notices today, ordering them to register for a national taxpayer number and fulfill their tax obligations. 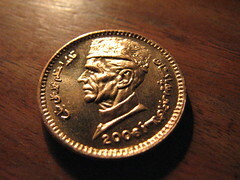 While speaking at a conference organized by the Korangi Association of Traders and Industry (KATI) on March 19th, the Chairman of the Federal Board of Revenue (FBR) of Pakistan Salman Siddique revealed that a list has been compiled of 2.3 million high earning individuals who currently pay no personal income taxes and are not even registered for a national taxpayer number (NTN). All the persons named in the list will be contacted in the near future, however the FBR will initially only address a selection of 700 000. The investigation was carried out with the assistance of the National Database and Registration Authority (NADRA). At the conference Salman Siddique claimed that many of the individuals identified were enjoying a high standard of living, with expansive homes, frequent foreign travels, luxury cars and multiple bank accounts. During the investigations, the Board obtained key information on the tax evaders, including addresses and photographs. The 700 000 individuals who will be contacted first will be given one month in which to register for a NTN and begin fulfilling their tax obligations. If the individuals choose not to comply with the issued notice, the FBR will take stronger action. According to Salman Siddique, the Board currently does not have the resources necessary to adequately concurrently pursue all of the 2.3 million people on the list. The first 700 000 persons were chosen because they appeared to be evading the highest levels of taxes and could potentially lead to collection of the highest tax revenues.